LinkedIn’s mobile app now lets you post, update, and respond to comments. Associate up to three hashtags to your LinkedIn Page. Share different media types natively within LinkedIn, including PDFs, docs and videos directly into your post. “Content Suggestions” to help you engage with your audience. Notifications when the company is tagged so you can share the posts to your audience. Make sure you are utilizing these new functions. Know who you are targeting to help you grow that audience. Engage with your audience. 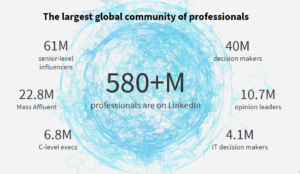 Want to learn more about the new and improved LinkedIn Pages? Attend #KeystoDMS on February 25th for a one day digital marketing boot camp including a session on the new LinkedIn Pages.